Bank customers are offered plenty of options, depending on their payment history, employment, and other factors. There are secured credit cards to rebuild credit, offered by banks and non-bank providers. Customers can choose from different products offered by American Express, MasterCard, and VISA. Canadian Banks such as BMO, Toronto-Dominion, RBC, and CIBC offer both secured and unsecured cards to existing and new customers. The HSBC secured credit cards are another option to rebuild credit. While a deposit is required, customers benefit from a lower interest rate compared to some unsecured cards. The RBC secured credit card is an excellent choice for newcomers to Canada and enables them to make purchases, pay unexpected expenses, and pay for services. It can be used to shop online, rent a car abroad, pay bills, and more. The limit is equal to the deposit you make (if you deposit $2,500, this is your limit as well). The RBC Visa Classic Low Rate is a good choice for borrowers who carry a balance. With a low rate and affordable payments, this card is suitable for customers who pay the minimum only. This is also a low-cost card to consolidate existing high-interest balances and save a lot in charges. The interest rate on cash advances is fixed – 11.99 percent. The Capital One secured credit card offers plenty of benefits as well, including a low annual fee of $29. Customers can choose from different deposit options – $200, $99, and $49. The main benefits are access to a credit tracking tool, regular reporting to the major bureaus, and the option to get a credit line increase with regular payments and responsible use. Capital One offers a secured card by MasterCard, and the same rate applies to cash advances and balance transfers (19.8 percent). The interest rate is variable, and this card helps build history with responsible use and timely payments. It is also offered to borrowers with no credit history. A security deposit is required to guarantee timely payments. The deposit is refundable once you choose to close the account and the balance is paid in full. All payments are reported regularly to the credit bureaus. Emergency cash advances are available. Another option is to apply for a Home Trust Secured Visa which is offered to customers, regardless of their payment history. Holders make online purchases and over the phone. They can book a hotel room or vacation, make withdrawals, and shop abroad. There are two options for customers to choose from, with annual fee and with no annual fee. The limit ranges from $500 up to $10,000 and is based on the security deposit required. Home Trust returns the security deposit to customers who cancel their card and pay the balance in full. The deposit can be made in different ways, for example, through bank draft, money order, and personal certified check. There are different options to apply for a secured card – as an authorized user, co-applicant, and primary cardholder. The Scotiabank secured credit card also helps users to rebuilt credit and get access to other financial products on the market. The no-fee Scotiabank value visa card is another option for customers who have more limited access to financial products and borrowing instruments. It is offered with a very low introductory interest rate of 3.99 percent. The introductory period is 6 months. The main benefit for borrowers is that customers are able to pay down the balance over a shorter period. There is no annual fee, and along with the low rate, this translates into considerable savings. Scotiabank also offers special discounts such as car rental discounts of up to 20 percent for additional savings. Card checks are also available to transfer high-interest balances on department store and gas cards and save on interest charges. Customers are free to use checks to pay gas, electricity, medical, and other bills and insurance premiums. The bank also provides supplementary cards, and it is easy to apply by phone, online, and in person at a local branch. Applicants are asked whether they have filed for bankruptcy over the last seven years. With a limit of $1,000 or higher, this card is ideal for borrowers with no credit exposure or poor history. Consumers benefit from automotive and travel perks and convenient and quick access to cash. Optional travel insurance is available and covers trip cancellation and interruption and medical expenses. The low interest rate translates into considerable savings on cash advances and purchases. There is no annual fee for additional cardholders. With secured credit cards Canada based customers benefit from an easy application process. Bank clients are asked to make a security deposit and submit an application form. Issuers require that applicants present details such as their previous and current address, date of birth, and marital status (widowed, separated, common law, divorced, married, or single). Other information to include as part of your application form includes your employment details, including your business phone, employer’s address and name, source of income, and monthly income. Specify your employment status as well, i.e. whether you are retired, student, seasonal worker, full- or part-time, or self-employed. Finally, if you apply together with a co-applicant, you must submit information about the co-applicant as well, including financial and personal details. Do you recommend any specific bank or loan company to retart the credit after filing consolidation. I would say, try Scotiabank or Capital one. RBC Visa Classic Low Rate is a fabulous card. Currently using it to rebuild my credit. With a $5000 limit @ 11.99%, it has worked out great thus far. Beats all other listed cards in virtually every aspect. Stay employed. Make your payments. Did you put in a deposit or is this a regular card? I bank with them but I’m looking to get something without being denied. I HAD APPLIED FOR A RBC CARD AND WAS REJECTED EVEN THOUGH I HAD A 210,000 MOPRTAGE WITH RBC. HAD A GOLD CARD AND BECAUSE I DI NOT RECEIVE THE NOTICE OF THE ANNUAL FEE THEY CANCELLED IT. I HAD PAID IN FULL MY TRANSACTIONS AND EVEN HAD A POSITIVE BALANCE ON IT. RBC SEEMS TO BE VER UNFAIR TO TREAT ITS CUSTONERS THIS WAY. EVEN HAVE NUTUAL FUNDS WITH THEM. Sorry to hear that. Did you try to call them and discuss? 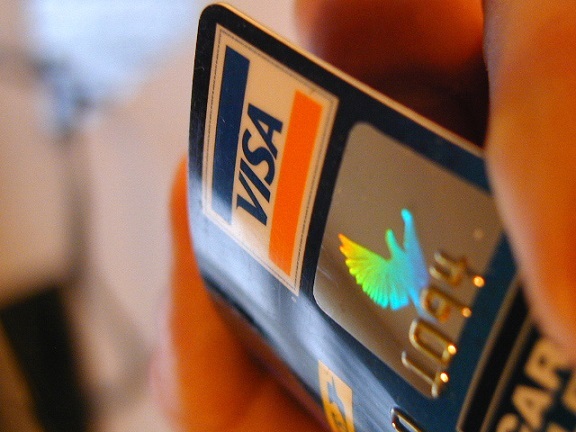 Any secured credit card is good when it comes to rebuilding your credit.